To improve for your exams. Whatever your purpose is, I am happy to help you! If you have a song list which you would like to play, just bring it! If you are planning to take an exam such as RCM or other competitions, just talk to me! I've sent many students to competitions and exams, and all passed and left with good result includes "First Class Honors with Distinction". If you have kids who might be interested in piano, or if you're the one who wants to learn piano most, I have got ideas. I believe everybody has their own purpose and wish about piano, so WE make our lessons suit your style as we are a team. I'm always keen to listen your thoughts and find the best way for you to enjoy learning piano. And we'll review your goals frequently. 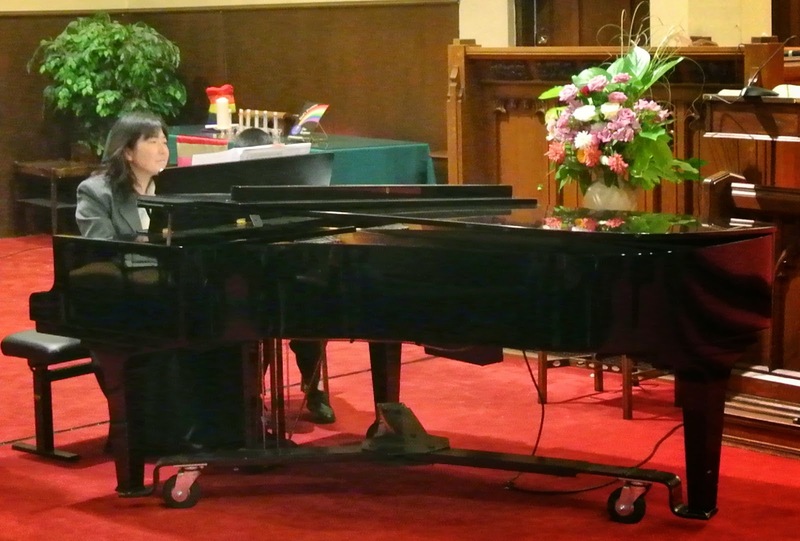 I organize two or three piano concerts for my piano students each year. (If you prefer/need more, it is certainly possible). These opportunities give you to prepare how to perform in public and you can also learn stage manner. Listening other students performance also broaden your repertoire. Of course it gives you a chance to invite your family and friends and entertain them with your music! Come to my studio with a grand piano. Just 5 minutes walk from the City Hall station (Canada Line). Minimum 30 minutes for small kids (up to 6 yrs) and 1 hour for all students (kids and adults), based on once a week.